Thinking about traveling to Ukraine? Good call! Not every country has as much to offer as Ukraine: Beautiful nature, a colorful culture and vibrant cities rich in history. Though many people still see Ukraine as a rather unusual travel destination, the country has seen ever-increasing numbers of tourists for many years now. 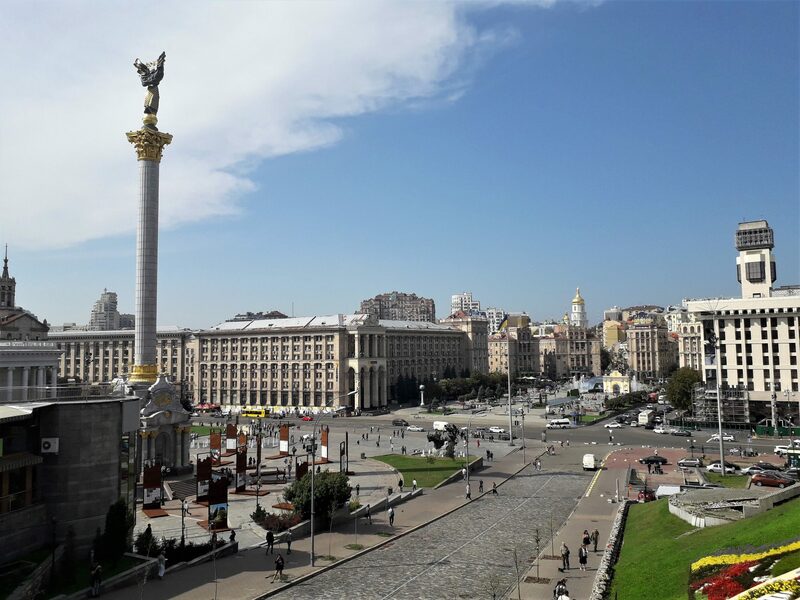 With the opening on the country’s airports to budget airlines, Ukraine is bound to see more visitors from western European countries than ever before. Still, to many people (also in Europe) Ukraine is still terra incognita to some degree. Ukraine is a country that has interested me for a long time. I first came into contact with it through music, as Ukraine has a lot of excellent Black Metal bands, and then started learning more about the country while doing my undergrad degree is Slavic Philology. Then, in grad school, I took quite a few courses on Ukrainian history. When the events of Euromaidan took place, I felt solidarity and respect with Ukrainians, and felt like I had found a new favorite country. All that was left was to actually go there. Now I’ve been to Ukraine twice and can say that I feel more comfortable there than in Germany despite having lived here for over nine years. People were extremely welcoming and helpful. Every time I’ve come back with more friends and positive experiences. 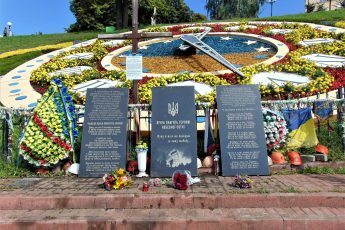 I put together this article to help those of you going there for the first time learn a bit about Ukraine’s history beforehand and be able to navigate your way through the country. It contains all the practical information you need regarding currency, transportation, and safety. 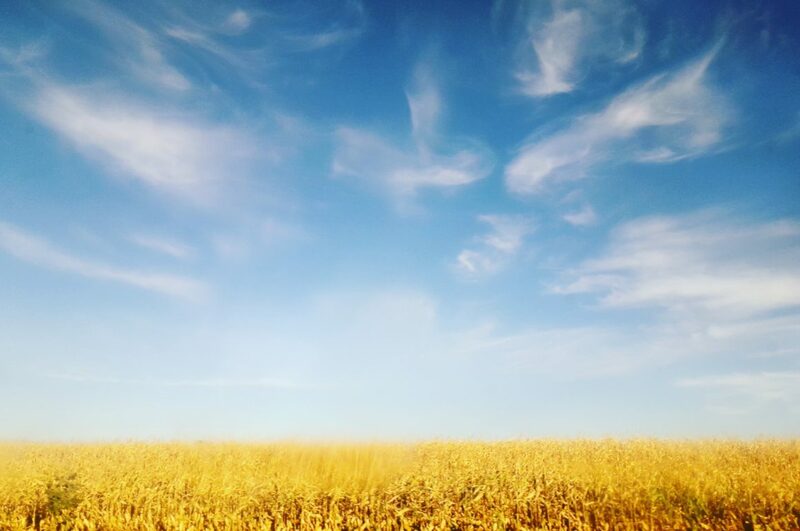 Most of all though, I want to promote Ukraine as a destination because I genuinely love that country. What is there to see in Ukraine? Ukraine is a country that really has it all: You can hike in the Carpathian mountains, bathe in the Black Sea, discover Cossack history in central Ukraine, experience the Viennese café culture of L’viv, visit historic fortresses like in Kamianets-Podilskyi, see massive Soviet architecture in cities like Kharkiv and so much more. Much more? 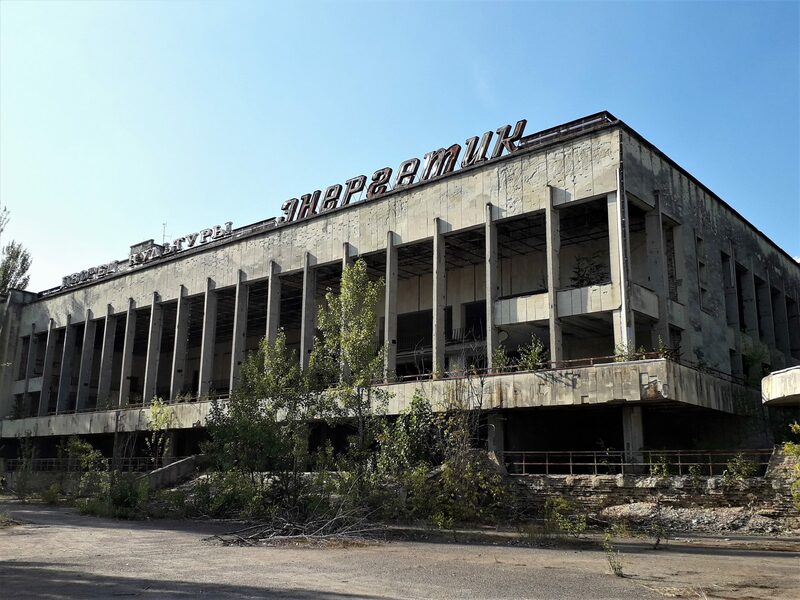 Visit the prehistoric carved stone formations of Kamyana Mohyla, the former anarchist stronghold of Huljajpole, the Hutsul villages of deep Western Ukraine, the gold-domed Orthodox monasteries of Kyiv, and of course, the site of the worst nuclear catastrophe in history: Chernobyl’. From beautiful villages with wooden houses to endless rows of Soviet buildings, Ukraine is as diverse as its history. 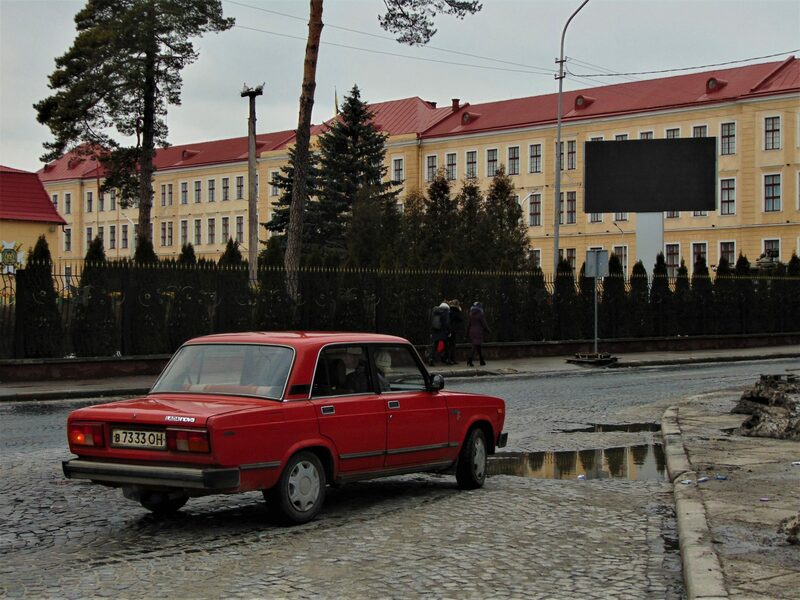 Downtown Pripyat in the Chernobyl Exclusion Zone. 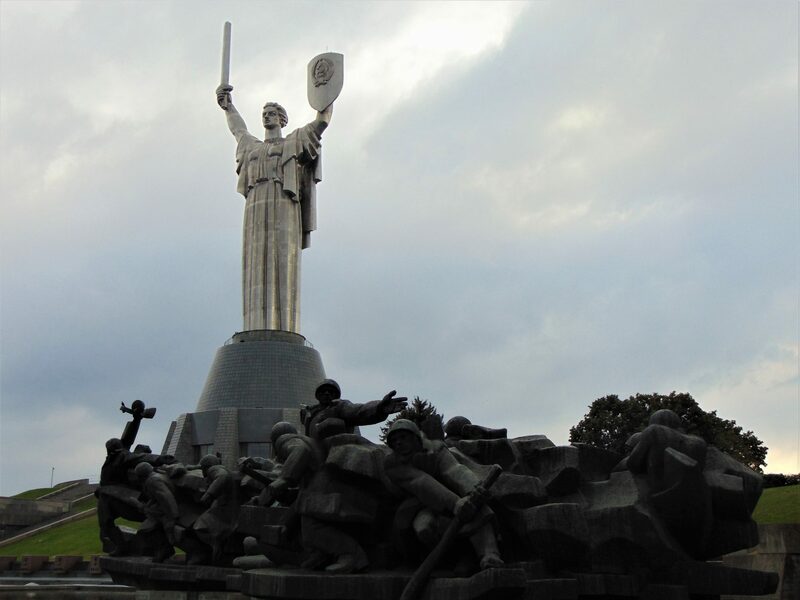 Let’s start by scratching the surface with a little overview of Ukraine’s history for context. Ukraine is a country with a long and often times tragic history. Though the country first gained its independence from the Soviet Union in 1991, Ukraine can trace its roots to entities starting with the Kyivan Rus’ state, which was established in the 9th century and extended from the Carpathians to the Volga and from the Baltic to the Black Seas. Politics and foreign influence led to the fragmentation of the Rus’ state. One of its principalities, Muscovy (Moscow), gained the upper hand and eventually appropriated the name and heritage of Rus’ in the 18th century. A statue of the three brothers Kyi, Shchek and Khoryv, and their sister Lybid. 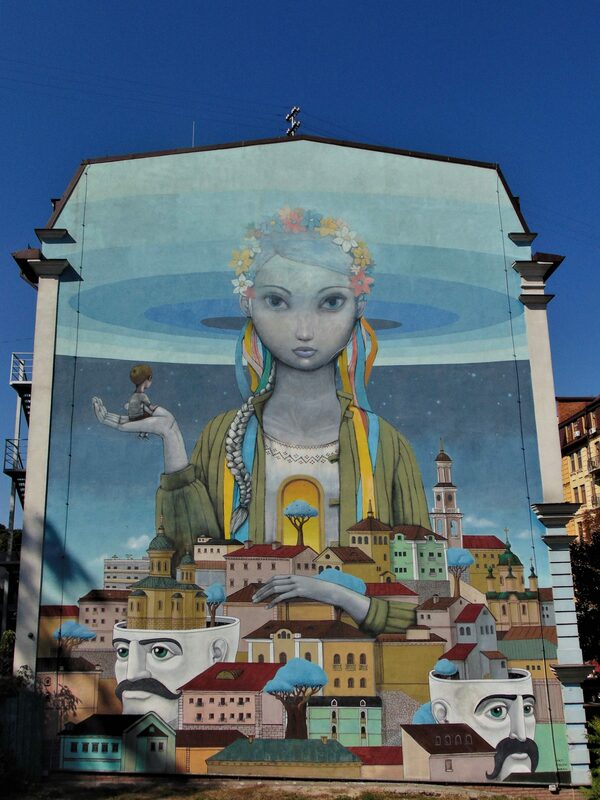 Legend has it that they founded Kyiv. The eastern part of the country has been closer to Russia since the rise of Muscovy (which later became the Russian Empire). The full scale colonization of Ukrainian lands by the Russian Empire began after the Battle of Poltava in 1709 and continued into modern times. In the turmoil of the Russian Revolution, the Bolsheviks established the Ukrainian Soviet Socialist Republic, which became part of the Soviet Union. The Soviet government’s campaign of Russification and suppression of Ukrainian culture and national identity intensified from the 1930s onward. 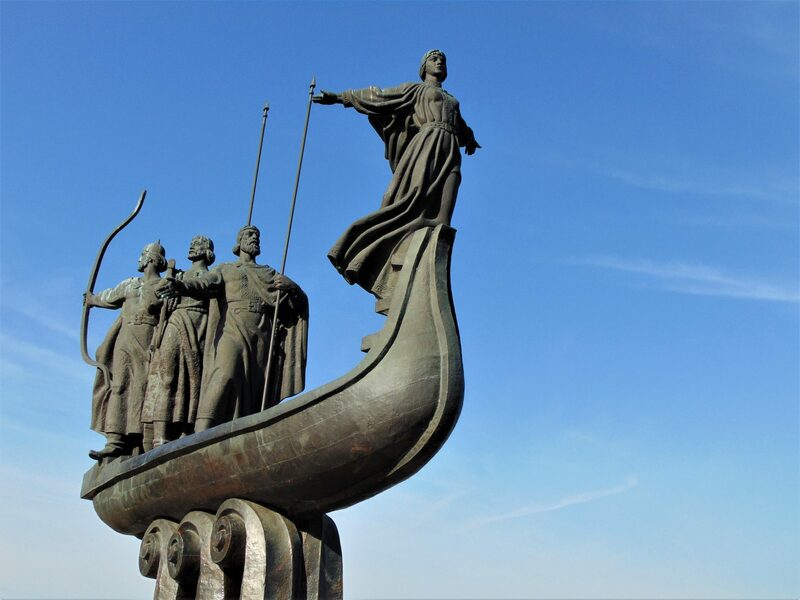 The Motherland and Crossing the Dnieper statues in Kyiv. Meanwhile, much of western Ukraine was part of other European states for centuries, including the Polish-Lithuanian Commonwealth, Austria-Hungary and, until World War Two, Poland. In 1939, the Soviets, in agreement with Nazi Germany, invaded Poland, annexed the conquered territories and incorporated them into the Ukrainian SSR (among other Soviet republics). In Soviet times, the west, especially the region of Galicia, remained a bastion of Ukrainian identity and anti-Soviet resistance—including a low-intensity insurgency against the Soviet Union lasting well into the mid-to-late 1950s. 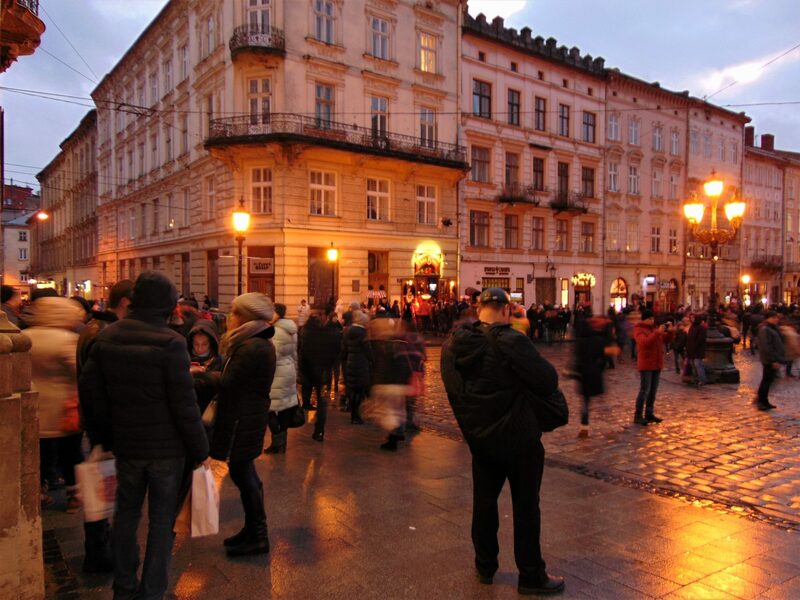 Today, Western Ukraine is different not only in terms of architecture but identity: Like my friend Dima from the band 1914 once told me in L’viv, “Galicians are the Bavarians of Ukraine.” Read about my experiences in L’viv here. The streets of L’viv at night. After achieving independence in 1991, Ukraine teetered between the European and former Soviet spheres of influence, with a revolution taking place in 2004 (Orange Revolution) and another one in 2013/14 (Revolution of Dignity or “Euromaidan”) to demand closer ties to Europe. The Revolution of Dignity managed to topple the pro-Russian government; however, it also catalyzed the current military conflict in Donetsk and the illegal annexation of the Crimean peninsula by Russia. You will see the legacy of the Euromaidan Revolution in many places, especially since the people who tragically lost their lives at the hands of the government now have the status of folk heroes. Euromaidan demonstration in Kyiv. Pic: Reuters. Different ethnic groups have left their imprint in Ukraine, from various eastern and western Slavs to Turkic Tatars, Mongols, Jews and even Vikings. In his book “The Gates of Europe,” Harvard historian Serhii Plokhy points out that fault lines between East and West run right through Ukraine, and that the modern, multiethnic Ukrainian nation has been forged through this interaction. You will notice the effects of this convoluted history everywhere, from the architecture to the language and the diversity in the country. The name “Ukraine” comes from “borderland.” Within the context of statehood, the name was first (informally) used for the areas controlled by the Cossacks in the 17th century—meaning the lands beyond the borders of the Polish-Lithuanian Commonwealth and the Russian Empire. In the English-speaking world, the country is still often called “The Ukraine,” but unless you want people in Ukraine to quickly correct you, you should drop the article. The article has a negative connotation as it is understood as reducing Ukraine to a region and questioning its sovereignty as well as validating foreign claims to its territory. Due to historic reasons, both Russian and Ukrainian (among many other languages) are spoken in Ukraine—with the eastern part of the country being Russian-speaking, while Ukrainian is more widely spoken in the western part of the country, particularly in Galicia. 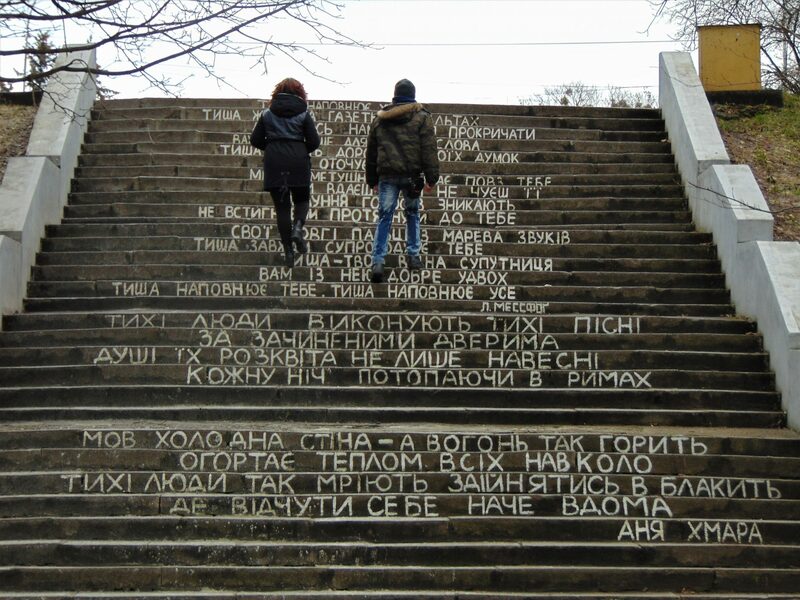 Before a trip to Ukraine, it wouldn’t hurt to learn to read Cyrillic. It is another alphabet but learning it is actually relatively easy, as a lot of characters are the same as in the Latin alphabet. It’ll make your life so much easier if you can read the names of subway stations or cities. There’s a myth that speaking Russian in Ukraine could get you into trouble. 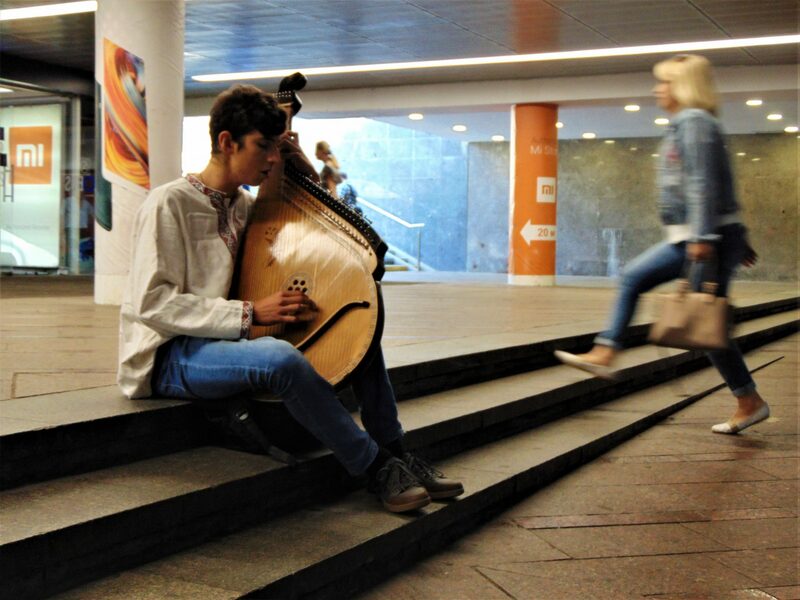 While it might get you the stare in L’viv, many people in Kyiv use Russian as their everyday language. In the eastern part of the country, Russian is more widely spoken than Ukrainian—also by people who identify solely as Ukrainian (think of English speakers in Ireland here). At any rate, if you speak some Russian don’t be afraid to use it. Locals will think it’s cool that a foreigner speaks it and it will definitely make things easier for you in the country. I just so happen to speak decent Russian, and every time I used it I got looks of approval from my interlocutors. The national currency of Ukraine is called hryvnia. As of the time of writing, one euro was worth 32 hryvnias. Depending on where you visit from, you’ll notice that prices in Ukraine can be very low, which can unfortunately lead to foreigners announcing to the four winds that “Ukraine is super cheap” (and even making videos about it). 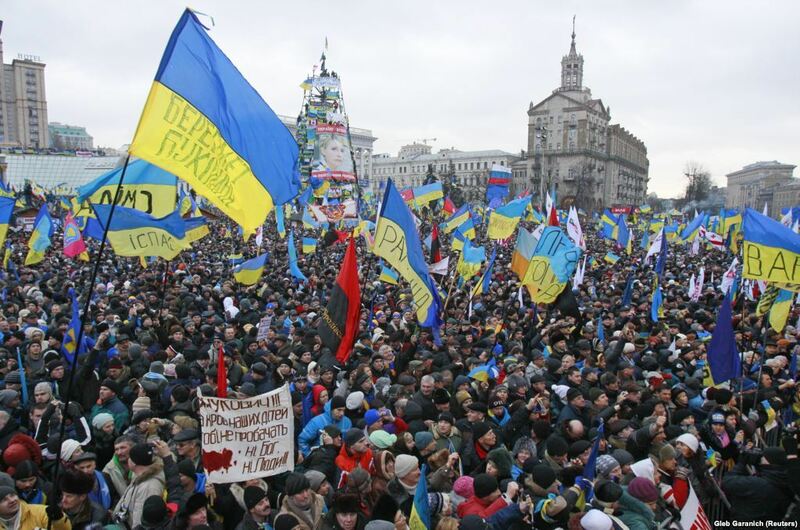 While prices in Ukraine are low for “us,” they are not by any means low for Ukrainians. The currency lost a lot (A LOT!) of its worth in the wake of the political turmoil in the country in 2014, but prices remained the same or even increased. The average monthly salary is the country is less than 300 dollars, but factory workers can earn as little as 100 dollars per month, as one told me while traveling by car from Zaporizhia to Mariupol’. 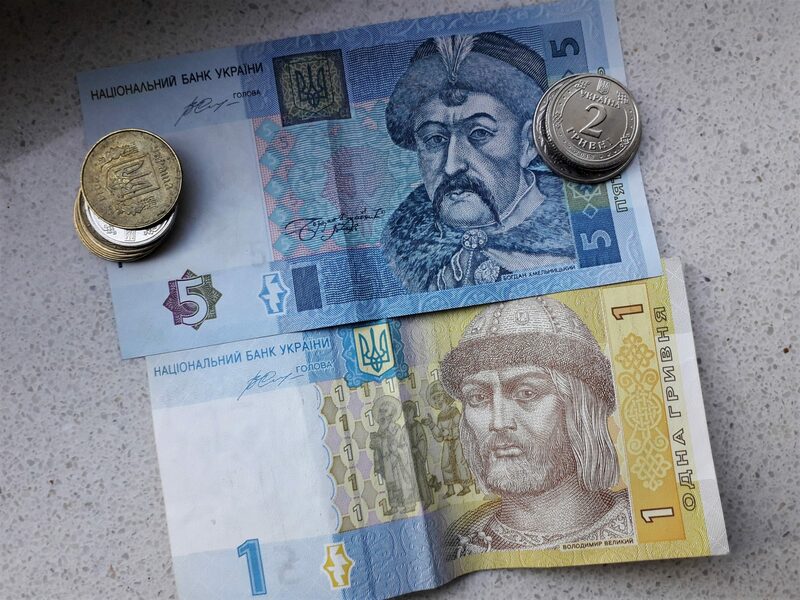 Bills bearing the likenesses of Bohdan Khmelnytsky and Volodymyr the Great. This all means that if you go with dollars or euros your money will get you a lot of delicious food and drinks. You can have a proper meal at a good restaurant for about four euros, but can even eat a full breakfast for less than 30 hryvnias. Just don’t go around telling people that everything’s super cheap there because for locals it’s definitely not. In Ukraine I would recommend exchanging money either at a bank or the post office. As elsewhere, it’s always a good idea to calculate on your phone how much money you should get back before going in to avoid getting less cash than you should. When I am in Ukraine I usually prefer to travel by train as I can actually afford it there as opposed to here in Germany. I traveled by train from Chop, on the Hungarian border, to L’viv, from Kyiv to Zaporizhia, and took a sleeper train from Kharkiv to Kyiv. The most expensive ticket must have set me back no more than 12 euros, and that was traveling first-class. 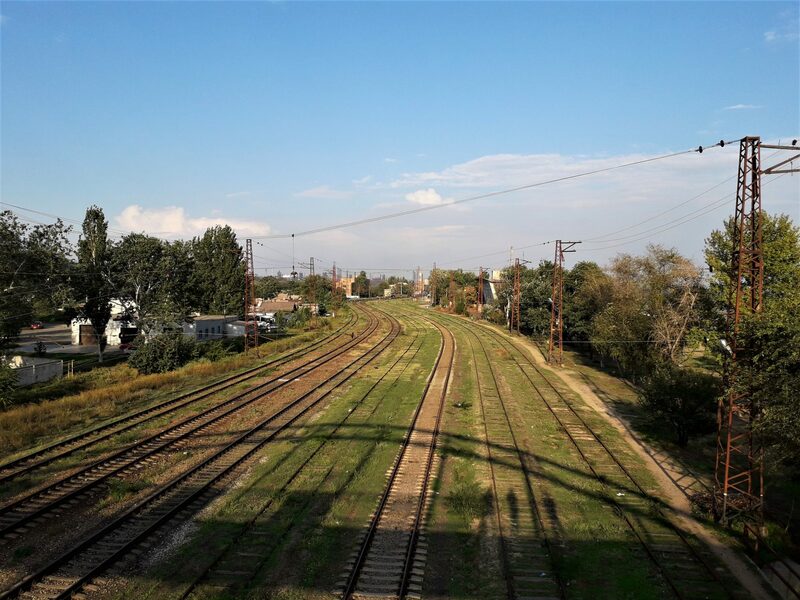 As far as buying your train tickets online goes: Navigating the website of the Ukrainian railroads can be tricky at first but easy to figure out. Should that not be the case, all trains are listed on google, and you can always simply write down the route and make a quick stop at the train station to buy the ticket in person a day or two before you’re due to depart. If you do that and have a set idea of when you will travel you could might as well buy tickets to all your destinations at once. Ridesharing is often the way to go. The only problem with trains is that they sometimes don’t run that often. Another problem, though this only affects the eastern part of the country, is that service through the occupied areas in Donetsk and Luhansk has been interrupted. Before the war there was a direct connection between Mariupol’ and Kharkiv through Donetsk; now, the train still runs but first goes to Zaporizhia, which is totally out of the way and increases travel time to almost 16 hours. In such cases, but also for short-distance trips, buses are more recommendable. Buses are affordable, run often, and you can usually simply go directly to the bus station and buy your ticket there without the need to make a reservation, which is what I did to get from Zaporizhia to Kharkiv. Something you might find useful here is writing down or printing your itinerary on a piece of paper in Ukrainian or Russian to show at the counter, because chances are you won’t find anybody who speaks English there, especially in smaller cities. Another very good option is ride-sharing. Blablacar is widely used in Ukraine, and there are usually several offers to get from one place to another. I had some of my funniest experiences traveling around using the app, meeting locals and gaining insights into the country. And of course there’s always hitchhiking! Ukraine is a country with a very colorful culture, and Ukrainians in general are immensely proud of it: Traditional embroidered clothes are very popular, and many people know traditional songs; Cossack haircuts and musicians are not a rare sight, and many people will have at least a good grip of the country’s history (to a much larger extent than, say, in the US). Luckily, they’ll be delighted to tell you about them instead of making you feel left out. 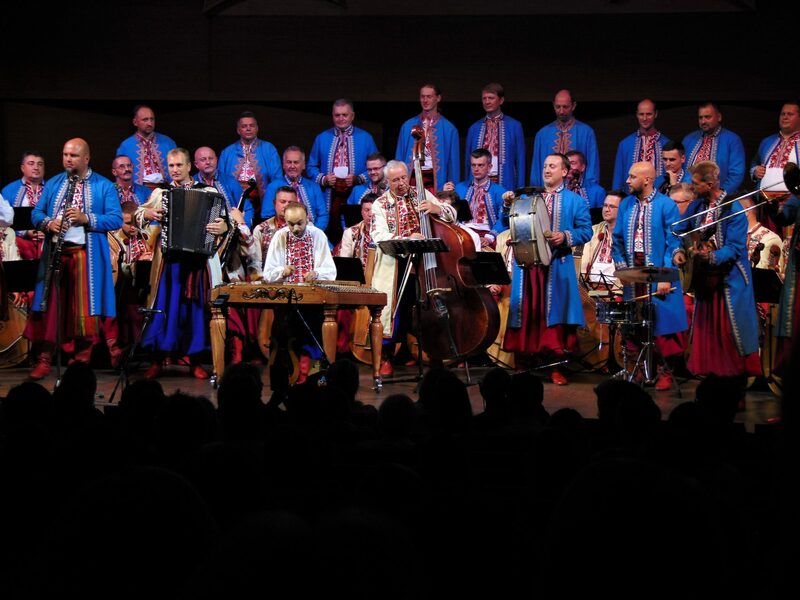 Speaking of music, Ukraine is a country with a long musical tradition and I can only recommend you attend some kind of concert. I attended a concert by the National Bandura Ensemble of Ukraine at the Kharkiv Philharmonic and I can tell you that it was one of the most epic things I’ve seen. Not only was the music amazing, but the reaction of the people, many of whom were wearing traditional clothes, was contagious. Traditional stuff is very cherished in Ukraine, and people will be glad to see foreigners show interest in it. Ukraine is also very rich in terms of food. 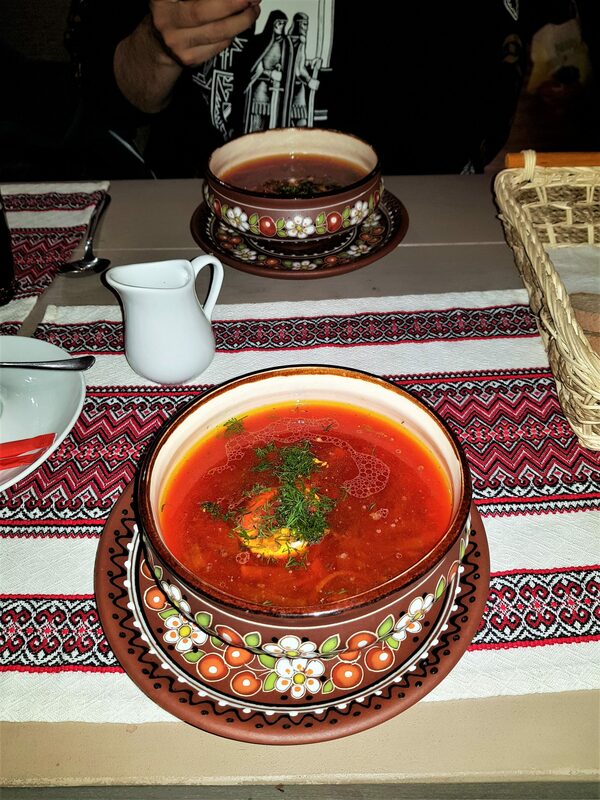 Staples of Ukrainian cuisine include Borsch (beet soup) and Vareniki (dumplings); there are several varieties of both dishes. I’d recommend trying also stuffed bell peppers. Georgian food is incredibly popular in Ukraine too so that’s an added bonus you should definitely take advantage of. Another type of food you definitely want to try is Crimean Tatar cuisine. In recent times, many Crimean Tatars have moved to the main Ukrainian cities due to the difficult situation that they face in Crimea ever since the peninsula was annexed by Russia. If you come across a Crimean Tatar restaurant take a seat and enjoy some Shashlik, or maybe even some street food such as Chebureki. Along the coast of the Sea of Azov you’ll notice that the local cuisine has a Hellenic twist, since the area is home to Ukraine’s considerable Greek minority. 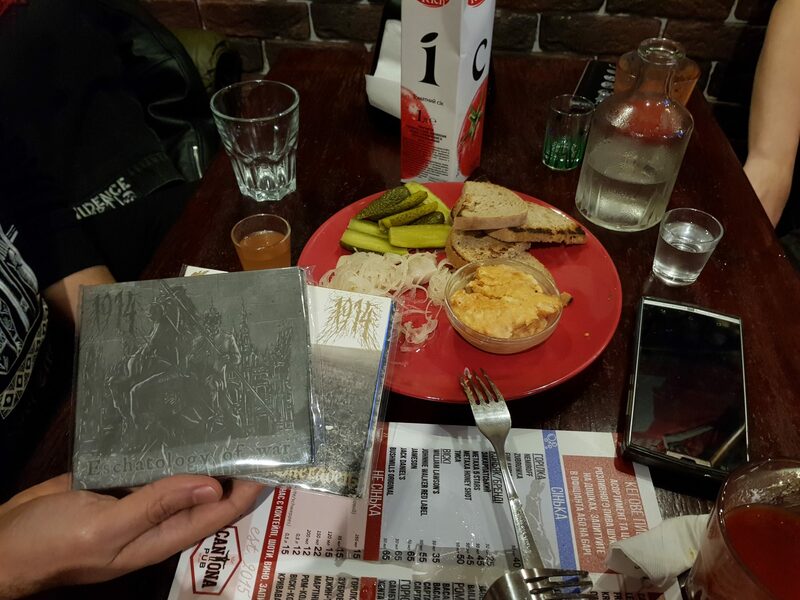 Drinking like a Ukrainian with my friend from the band 1914 in L’viv. Chances are you’ll drink in Ukraine, and I can tell you that nothing will protect you from a hangover like salo, which is basically pure lard and is eaten with bread. No drinking evening is complete without a plate of salted fish and pickles to munch on. Oh, and by the way, should you drink samogon’ (moonshine) make sure to have some tomato juice as chaser! Ukrainians are extremely hospitable. If you happen to stay at somebody’s place you can be sure you’ll be treated like royalty. Make sure to return the hospitality by being a good guest. A small souvenir from the country you’re visiting from is not expected but will definitely be very appreciated. As a foreigner, you’ll awake people’s interest. A good way to meet locals is to create a public itinerary on couchsurfing or (yes, I know) Tinder. Is traveling to Ukraine safe? Basically, yes. The conflict area is located hundreds of kilometers away from Kyiv and most cities you’ll probably want to visit. In fact, in cities such as Kyiv and L’viv you’ll hardly get the impression that there’s a war raging in the eastern part of the country, and that goes even for cities such as Zaporizhia and even Kharkiv. The longer answer is “yes, as long as you stay away from the areas where there is war.” Even though the media doesn’t report much on it, there is a conflict raging in the eastern part of the country with no end in sight. The war has thus far claimed over 10,000 lives and created over two million internally displaced people. 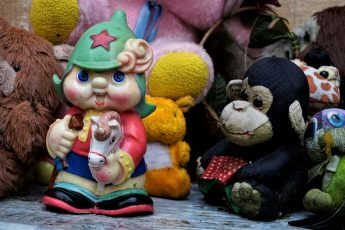 Even though there is a ceasefire in place, it is often broken. 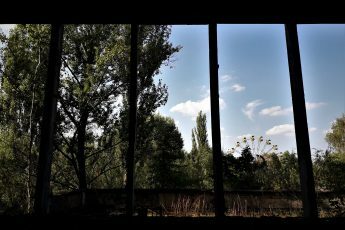 In fact, the day I arrived in Mariupol’, which is located less than 30 kilometers from the line of fire, Russian-backed separatists opened fire a total of 28 times. All quiet on the western part of the country. If you are planning on heading to cities like Mariupol’ just keep in mind that you’ll have to cross military checkpoints, one after you enter Donetsk Oblast and another one to enter the city. There, life goes on as usual as the city is not directly on the front, but like a local told me, “no city this close to a war zone will ever be entirely safe.” A good resource for your trip could be liveuamap.com, which shows in real-time all skirmishes and incidents. I’d advise you against trying to enter the occupied areas altogether. Other than that, as far as safety in the cities goes, Ukraine is pretty safe, also if you don’t look like a local. As always, exercising caution and using common sense at night should be a given, i.e. don’t flash wads of cash around or enter bad neighborhoods, but that applies everywhere. 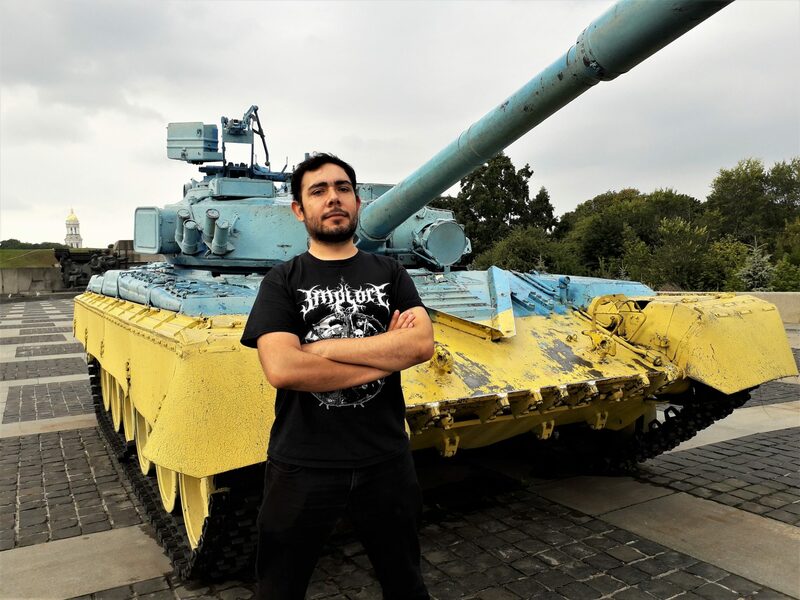 I hope this gave you a better idea of what to expect when visiting Ukraine, and I am very happy to have made a contribution toward helping you explore this amazing country. 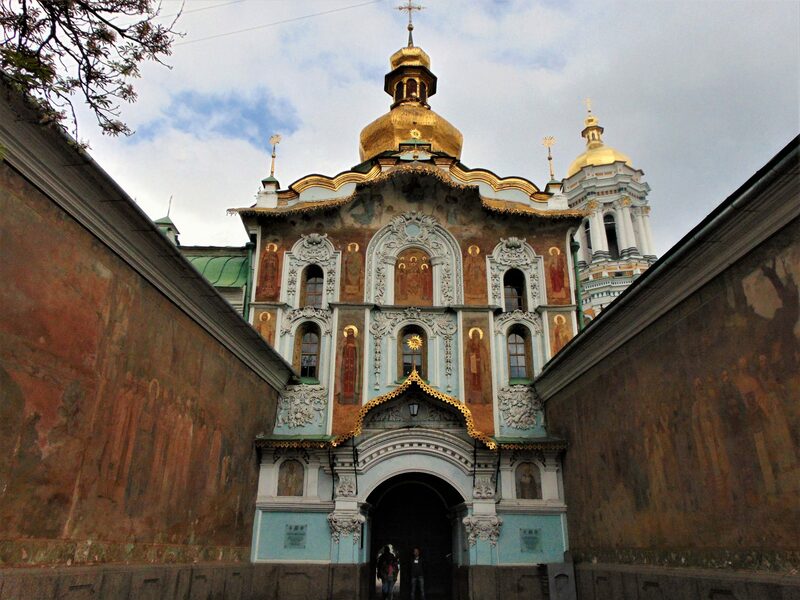 In Ukraine you will find very hospitable and friendly people and vibrant cities. As always, if there’s anything else you’d like to know feel free to leave a comment or send me an email!